Attack On Titan Season 2 Episode 01 DUBBED. 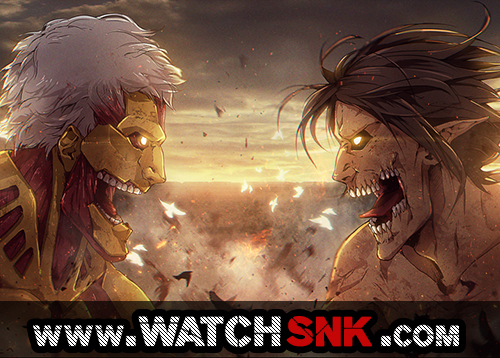 Watch Attack On Titan Season 2 Episode 01 in High Quality HD online on http://ww3.watchsnk.net. You are watching Attack On Titan Season 2 Episode 01 DUBBED. This anime has some of the worst pacing EVER. The story is good; and while some of the reveals are pretty obvious and a lot of characters are downright forgettable, it’s still got a lot of awesome action and unforgettable moments. However, the pacing is HORRID! Season 1 had so little to it that you could sum it up in a sentence or two; then look at show like Death Note or Tokyo Ghoul, which established way more in a quarter of the time. They are doing that on purpose to prolong the series. If they put all the manga scenes into the first season then we wouldn’t even have a season two. This is good in my opinion as it gives the audience something to look forward to and keeps them in suspense and anticipation. Great Pacing, awesome episode, glad to see attack on titans season 2 dubbed is back! I agree. I’m glad that they’re not rushing it. Fast Video links have stopped working for me (“media could not be loaded”). Anyone else having the same problem? just checked and its working fine,if you are still facing any issue please try other tab or download episode. Doesn anyone know when the next dubbed episode will be available? Episode 2 and 3 are already available on site. This site is crap. Every time I try to watch an episode, a stupid Indigo advertisement pops up and won’t go away. If I try to focus on the episode I hear the damn music from the ad. And it doesn’t stop. It keeps playing through a loop. How am I supposed to watch it without any interference?